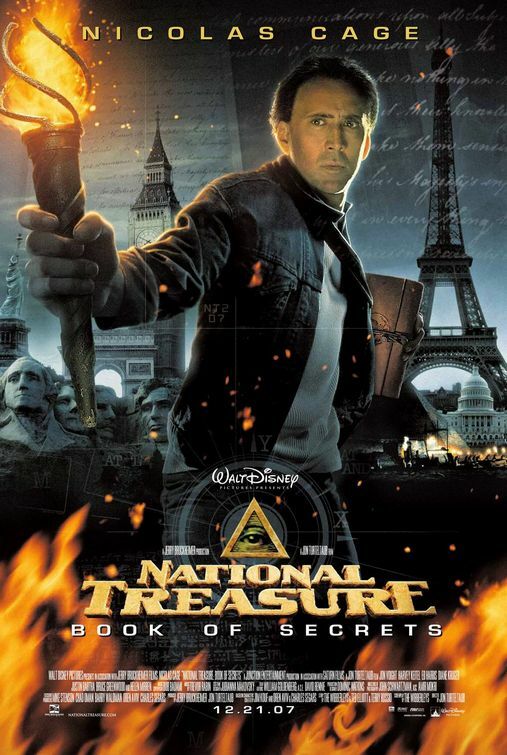 As it's a national holiday weekend here in the U.S. 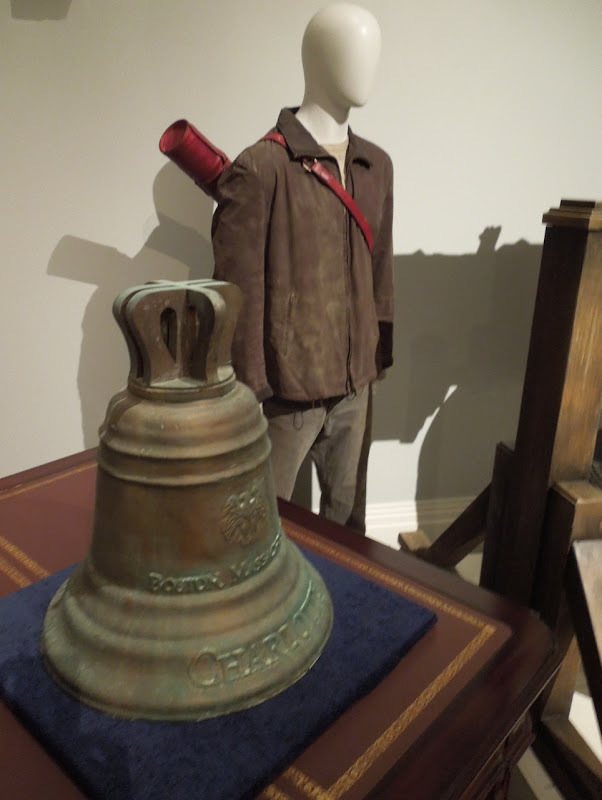 I thought it only appropriate to share this outfit and film props from Disney's National Treasure movies. 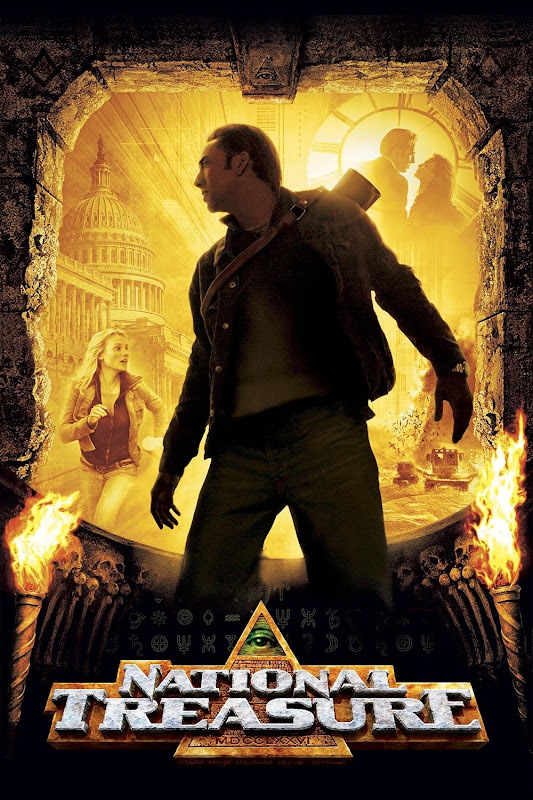 In the historical adventure Nicholas Cage stars as 'Benjamin Franklin Gates', a historian and amateur cryptologist, hunting a lost treasure hidden by the Founding Fathers of America after the Revolutionary War. 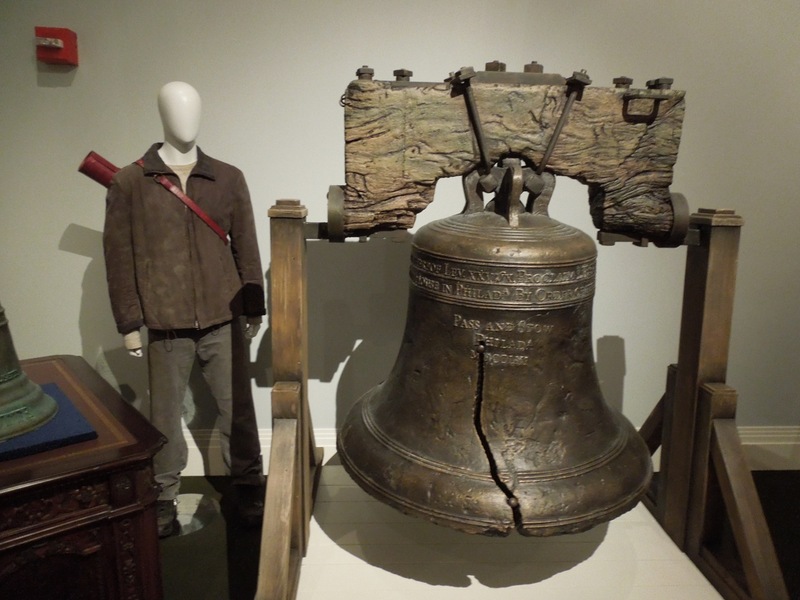 You can also take a closer look at Nicolas Cage's National Treasure costume designed by Judianna Makovsky here at Hollywood Movie Costumes and Props from Disney's D23 Expo in August 2011. 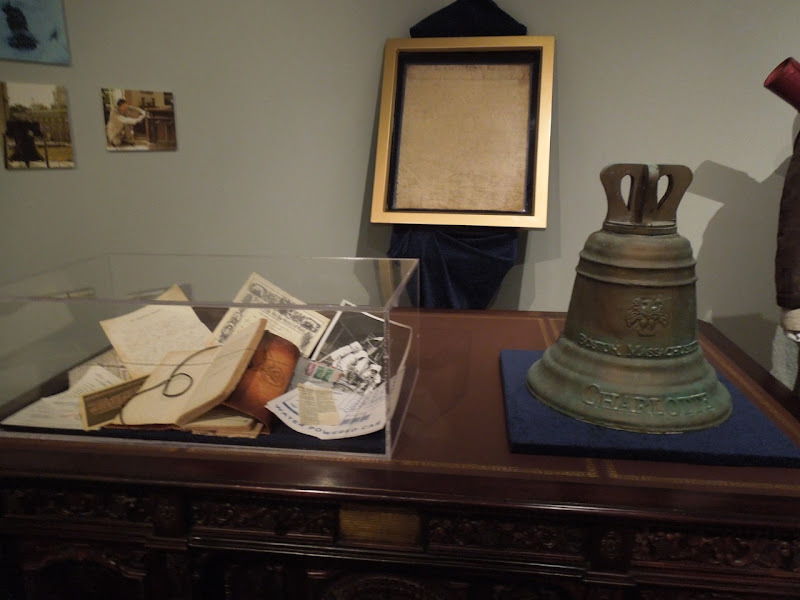 These photographs of Nicolas Cage's outfit and props, like a replica Liberty Bell and Charlotte Bell, were taken at the Treasure of the Walt Disney Archives exhibit at The Reagan Library on July 17, 2012. 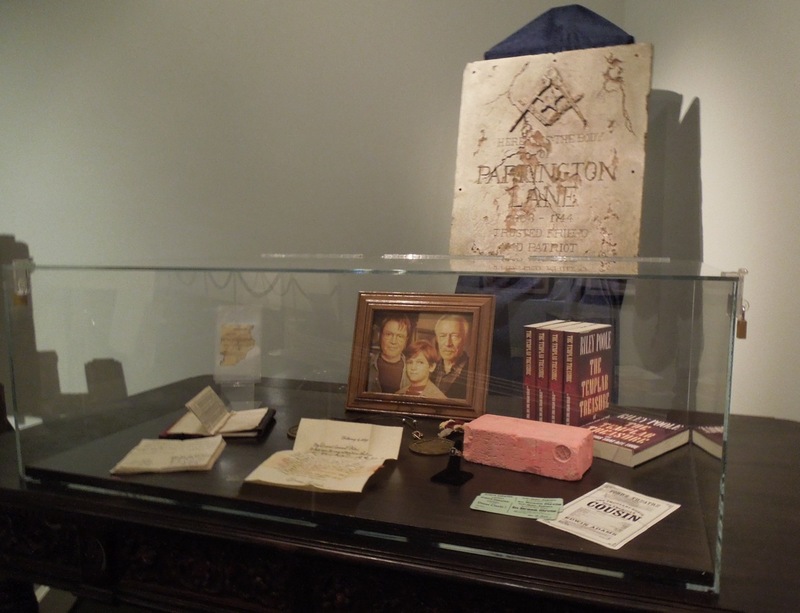 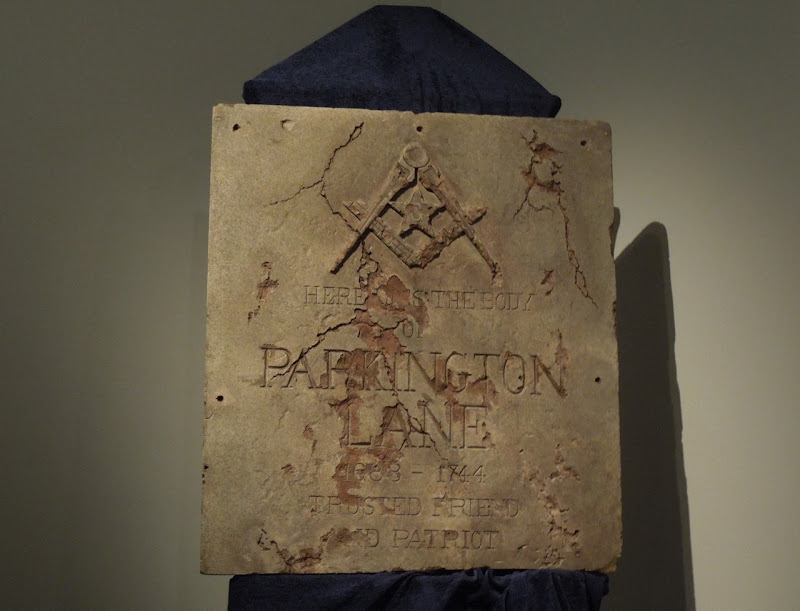 Also included in the display were the 'Parkington Lane' crypt cover, a framed Gates family photo, notebooks and diaries, medallions, desks featured in the films and even a brick with the Masonic symbol on it. 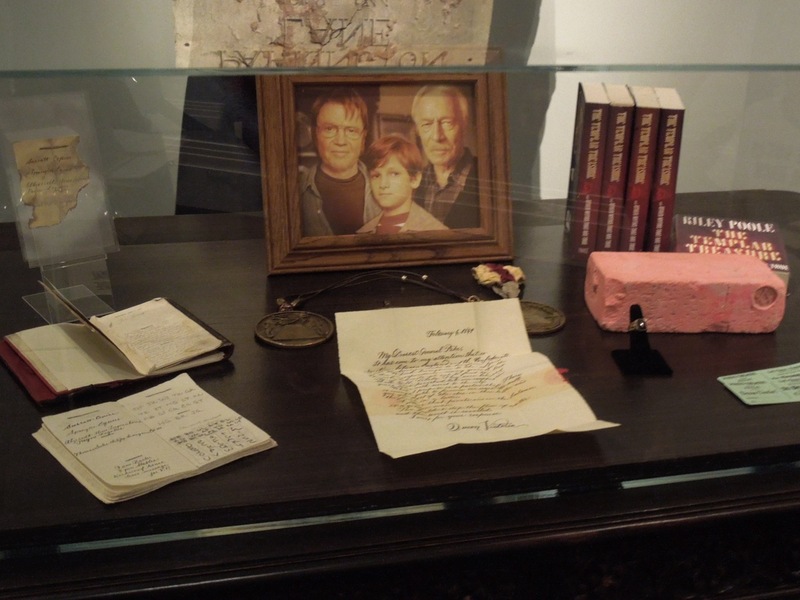 If you're a fan of Nic Cage, be sure to check out these original movie costumes from The Sorcerer's Apprentice and motorcycles from Ghost Rider 2 on display.